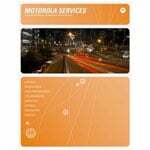 The Motorola LS3408FZ, LS3408 Series qualifies for Advanced Exchange Service. The Motorola Advanced Exchange Service program goes beyond the standard Motorola warranty by offering a replacement new or like-new item should a problem happen with the original model. If the problem cannot be resolved over the phone, Motorola ships a replacement item for free the same day (if the request is processed before 2:00 PM Eastern Time). Users benefit from vastly reduced down time plus by eliminating the need to purchase a new model. The program provides complete coverage of not only malfunctions, broken triggers, casing or touchscreen cracks but also wear and tear resulting from normal daily use. This comprehensive, no-fault coverage means buyers improve upon the standard warranty at a minimal additional cost. We strongly recommend this as an add-on to all qualifying Motorola products. Service Contract - 5 year, 5 Year Service from the Start Advanced Exchange for the LS3408. Includes Comprehensive coverage. Service Contract - 3 year, Service from the Start Advanced Exchange. Includes Comprehensive coverage. Check datasheet for regional availability.